The starting point for the Rongai route is on the northern end of the mountain, close to the border with Kenya. 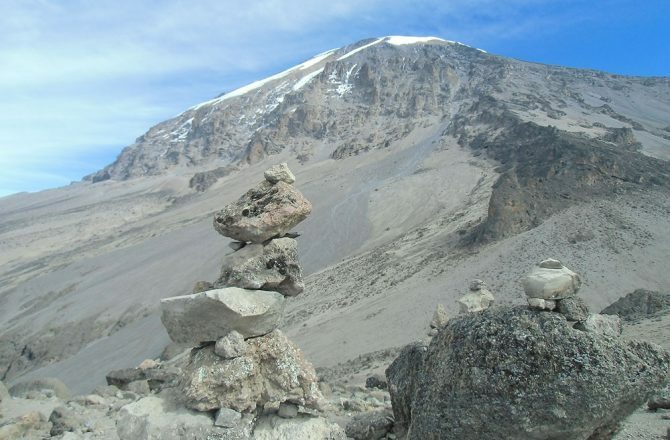 The scenery is similar to that of Marangu, beautiful but not a huge variety, and it is considered to be one of the easier routes due to the gradual incline of the trekking path. However, the summit trek is long and can be tough for climbers. Because of the remote location of the start point, the route is not crowded like others. This route is ideal for those hoping for a more quiet and peaceful climb. Descent is done down the Marangu route allowing you time on both the North and South side of the mountain! Below you will find the 6 day itinerary for this route. Heading out after breakfast, you will make the 2-3 hour drive around the foothills of Mt. Kilimanjaro through Chagga villages to reach the starting point for the hike. The drive is quite scenic but a lot of is on rough roads, making it a bit bumpy! You will most likely enjoy your boxed lunch while the porters get their gear weighed and everyone gets registered. When all the paperwork is done you will head out on your hike through mostly open land with a few patches of forest area. Keep your eyes open for Colobus monkeys and many species of colourful birds in the area. This day is quite long but it is luckily not too steep. 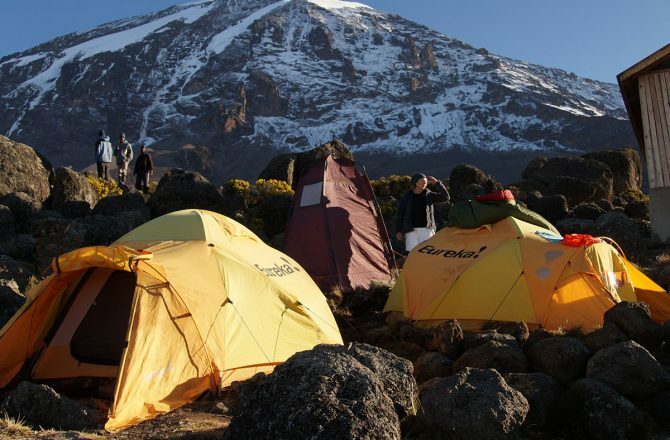 The guides/porters will come around to each tent to wake you up for the day with a choice of a number of hot drinks. Hot water will also be placed outside of your tent in a bowl so you can wash your hands and face and warm up a bit before making your way to the mess tent. This is how you will be greeted each morning. After a hot breakfast you will start off on the path heading towards the Mawenzi peak. This offers you amazing views of the smaller peak of Mt. Kilimanjaro with its jagged rock surface. 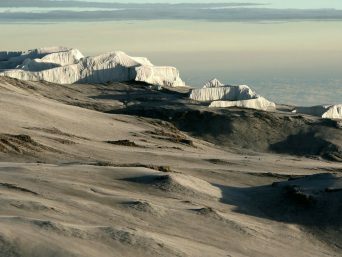 It is quite a striking difference from the Kibo peak, which is capped with glaciers year round. 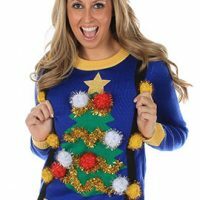 A lot of people tend to start feeling the effects of altitude change on this day. 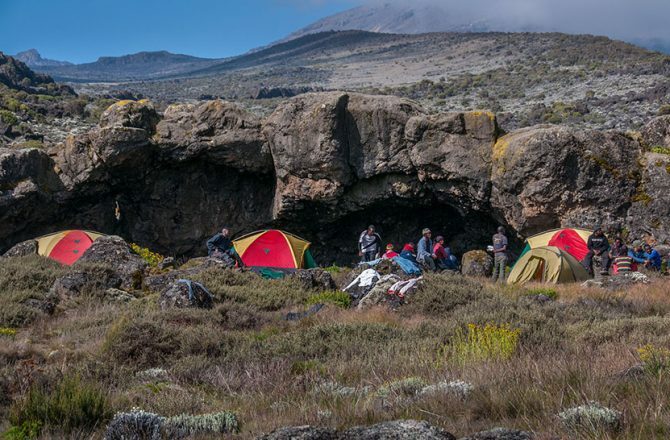 To make this trip 5 days, you can head straight to Third Cave Camp at 3,875m and then onto the Kibo Hut Camp at 4,700m the next day, by passing the Mawenzi Tarn detour. 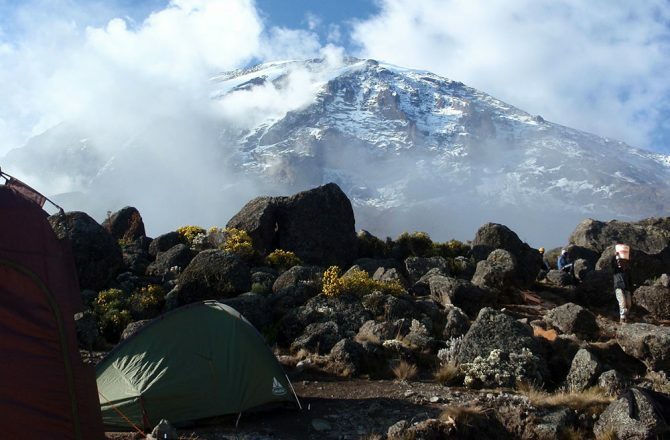 Today you will be greeted outside of your tent by beautiful views of the Kibo peak as the sun rises. The climb today starts quite flat but becomes increasingly steep as you continue. The vegetation completely disappears and the environment becomes quite bare and rocky. This day is short and you will have lunch at the camp. Mawenzi Tarn is located by a tiny lakeat the bottom of the Mawenzi peak, offering amazing views of both peaks of the mountain. 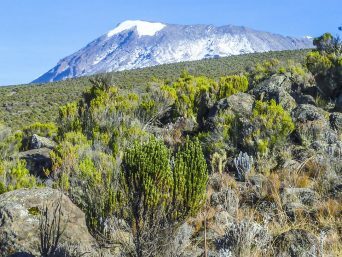 After lunch and a rest you will have the opportunity to go on an acclimatization hike up the edge of Mawenzi where you will again be awarded with great views over the saddle connecting the peaks. Again your direction will change as you head away from Mawenzi and back towards Kibo. This hike offers you a good glimpse of the challenge that you will soon be facing during your summit attempt. The hike takes place along the alpine dessert of the saddle, an open area that can get a bit chilly of its windy that day. 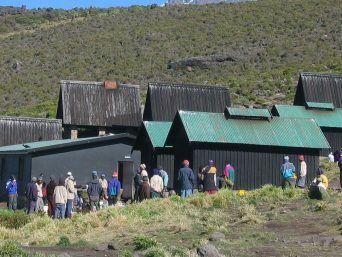 Just before reaching Kibo Hut you will join with the popular and more frequently used Marangu route climbers. From here on you will be climbing with them. 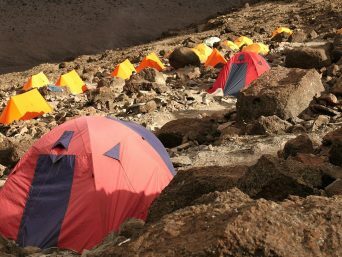 The camp is situated a little bit away from the huts as they are used for the Marangu climbers. This is summit day! Climbers will wake up just before or close to midnight to prepare for the final ascent to the summit, which is done in the dark. “Breakfast” will be already prepared. Depending on how many climbers there are, some of the porters will join you and the guides on the summit attempt to provide extra support if needed. The walking pace is very slow, with climbers focused on putting one foot in front of the other, following the trail of headlamps you see before you. Climbers often feel very sleepy at this time but just keep going forward! 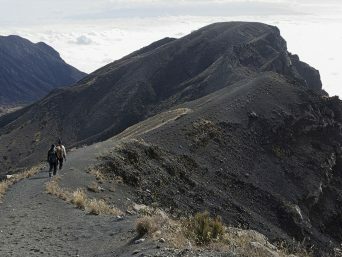 It usually takes about 4-5 hours to reach Gilman’s Point, which is your first checkpoint at 5,690m. 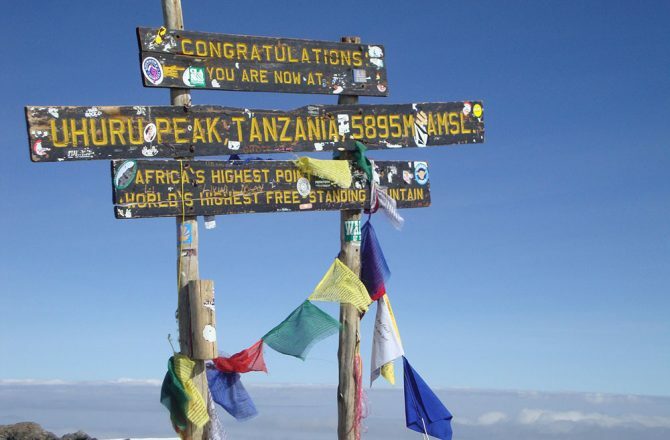 From Gilman’s point you make your way up to Stella Point and then to your final destination at Uhuru Peak! The time from Gilman’s to Uhuru Peak is about 2 hours. After spending a short time at the peak, you will descend again to Horombo Hut. After breakfast, you will start your final descent from Horombo Hut down to Marangu Gate, with a stop off at the Mandara camp for lunch, where you will share a soda/drink with the guides and porters to celebrate your success on the mountain! Afterwards you will head back to Moshi for some well deserved rest and a hot shower.